Years ago when I taught children’s church I fell in love with The Land of Far-Beyond, a children’s version of Pilgrim’s Progress written by Enid Blyton. I read a chapter or two of the book each week and the children all enjoyed it as much as I did. Later, I decided to read the original Pilgrim’s Progress, but I just didn’t enjoy it as much as The Land of Far-Beyond. 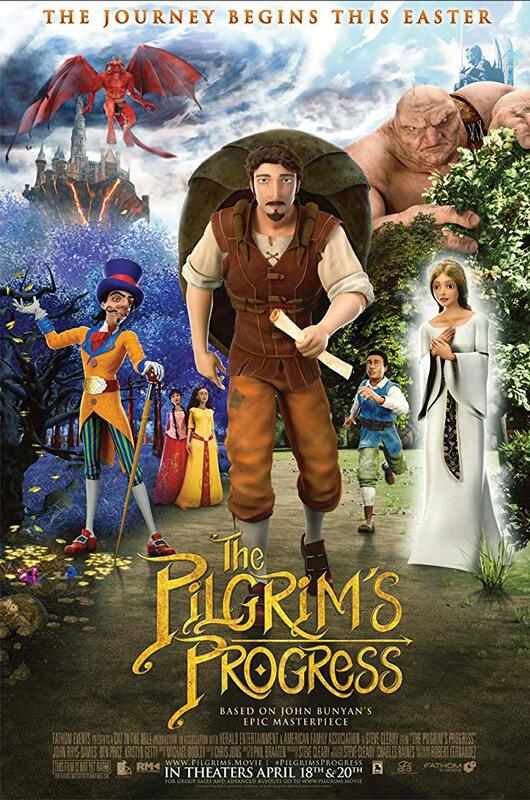 I hoped that the new animated movie release of The Pilgrim’s Progress would capture the story as well as Enid Blyton’s storybook version. I got to see an early screener, and guess what. It was the perfect visual representation of the beloved story. The Pilgrim’s Progress releases to theaters Easter weekend for just 2 days – April 18 and 20. You can get tickets and learn more about the movie at The Pilgrim’s Progress website. I’ll be posting my full review closer to release date, but in the meantime, I get to giveaway THREE copies of the interactive, digital adaptation of The Pilgrim’s Progress! 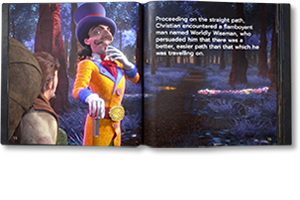 I’ll also be giving away illustrated storybooks and movie tickets. How cool is that? To register for a FREE interactive, digital adaption of The Pilgrim’s Progress, comment below with your favorite obstacle that Christian faces on his journey. For me, I liked morality and legalism. This movie does a particularly great job with that scene. I can associate with what Pilgrim was experiencing as he was drowning in his fears and he was let down by his companion. When all else fails we often turn to prayer (Help) instead of turning there first. I use the visual of Peter getting out of the boat to walk towards Jesus. When I’m fearful It’s an alert to check where my eyes are focused; on myself or on Jesus. I love that King Jesus made stairs for us to get out of the Swamp of Despondency but we often flood them out with our fears. Yes, I love the steps and how we don’t see them. So true! 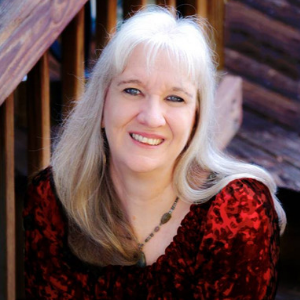 Congratulations, Susan Shearer! You’re one of the winners! Thank you so very much, Sharon! I’m excited and looking forward to receiving it. May God continue to richly bless you and all that you put your hands to. Mickey D. Guinn, congratulations! You’re one of the winners! The obstacle that Christians face and struggle with is the past memory that they keep holding on to which they know is against God’s will but they can’t let go of it because they liked it. This usually happens if something is lacking in an area of their lives and the memory or imagination is an escape which gives them pleasure even for just a little while. ReDiscover at 40, Congratulations! You’re one of the winners! I think of the scene from Vanity Fair, where anything desired is available to BUY–including ideas– much like our world today. They did an amazing job of Vanity Fair in this movie. Actually ALL of them.., for in the life of any True Bible Believing Christian either we will face these personally or we will know someone close unto us who will face these obstacles! is Greatly needed throughout every part of life. May the Blessings of the Lord Jesus Be upon us all!